Fast forward 15 years & I'm living with the man of my dreams, whose all-time favorite pre-Paleo breakfast was biscuits & gravy. 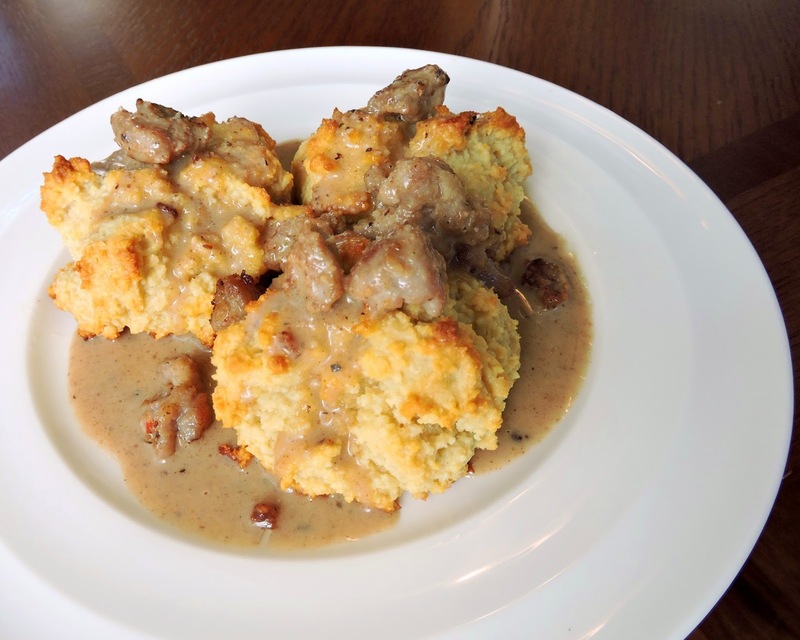 After creating amazing Paleo Drop Biscuits, a "biscuits & gravy" dish was the next logical step. So I made it, had Dathan do all of the taste testing, ate it begrudgingly..... and fell in love. The moral of the story is: try this. 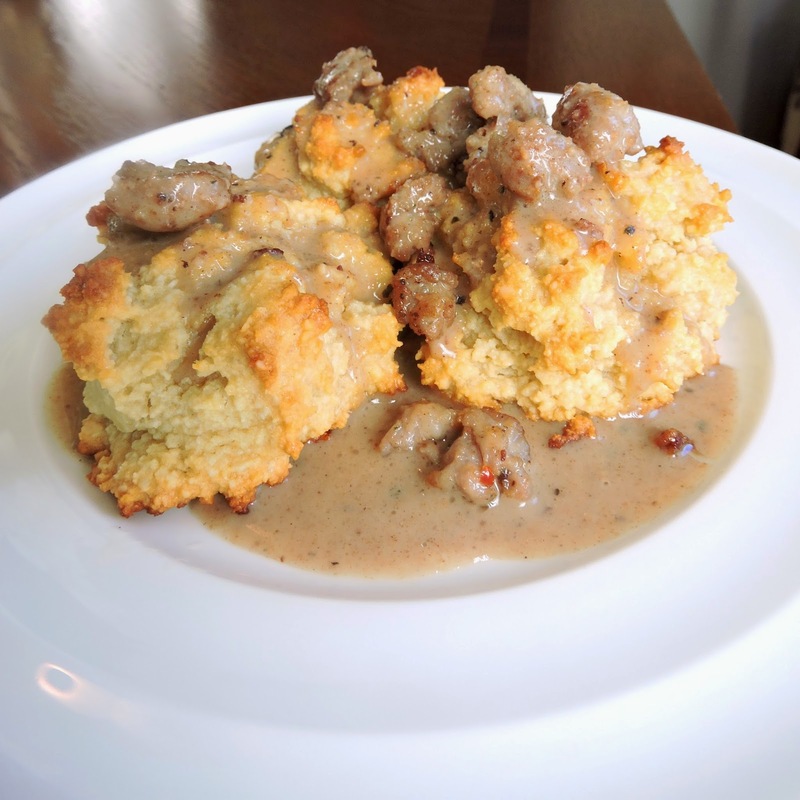 Whether you are Paleo or don't care about healthy eating; love sausage gravy or loathe it; you have got to try this. It's a guaranteed success! PS: If you're feeling hesitant about a coconut milk base.... don't! You won't taste any coconut flavor. Remove casings from your sausage, and cook in a skillet until crumbled & no longer pink. Transfer the sausage to a separate bowl, leaving the rendered fat in the pan. Leave your skillet on medium heat, and add the coconut flour to the fat-- mixing with a wooden spoon until it looks like a thickened paste. Add the coconut milk about 1 cup at a time, whisking as you pour. Continue whisking as it bubbles & thickens to your liking. Once it reaches the thickness you prefer, add salt & plenty of black pepper. 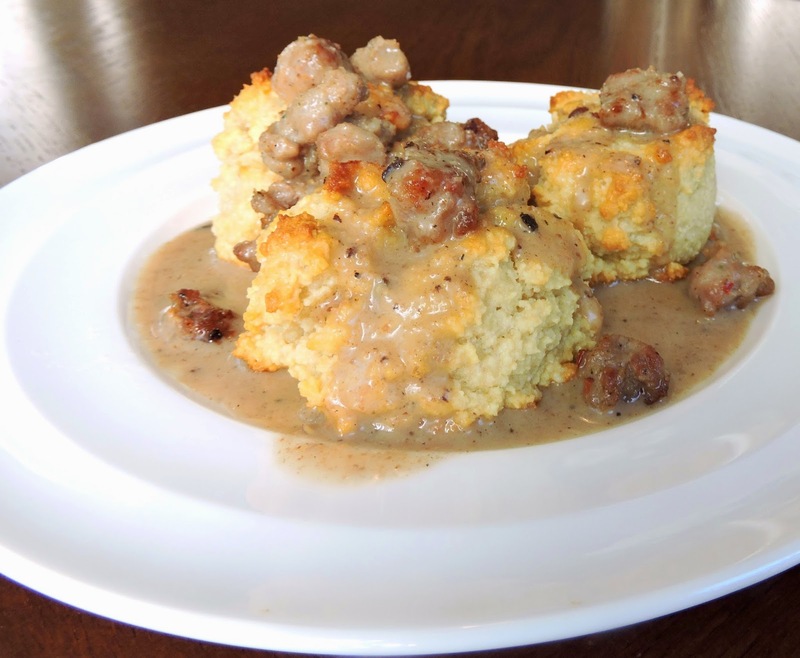 Stir in the cooked sausage, and pour over hot biscuits. This looks so yummy! Can i ask what pork sausage you use?